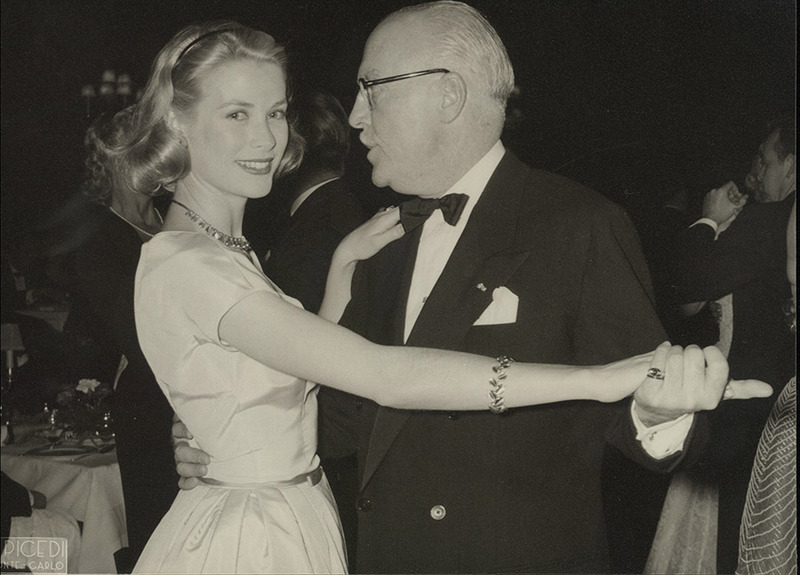 Our exploration of the jewelry box of our Magpie of the Month, Princess Grace of Monaco, continues with a look at one of her elegant suites of gold and diamond jewelry. The suite of gold and diamond jewels consists of a necklace, a bracelet, and a pair of earrings with a modern leafy design. 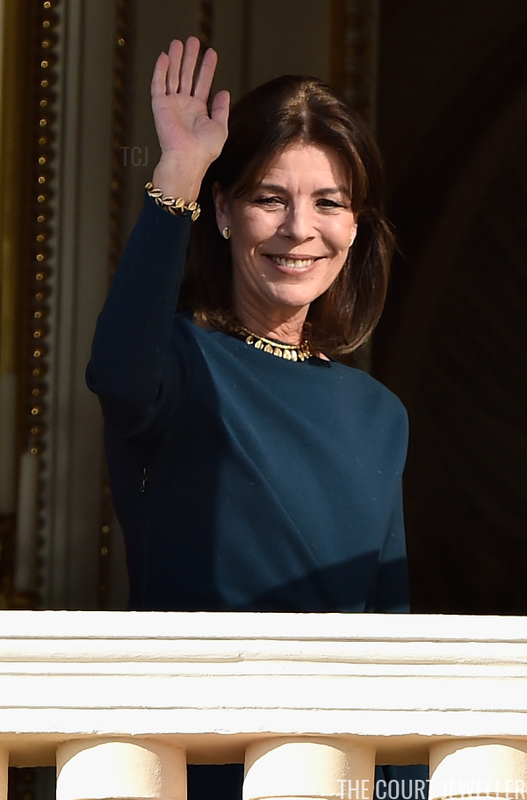 Grace had the suite before her royal wedding (see a picture of a young Grace wearing it here), and she continued to wear it after becoming a princess. 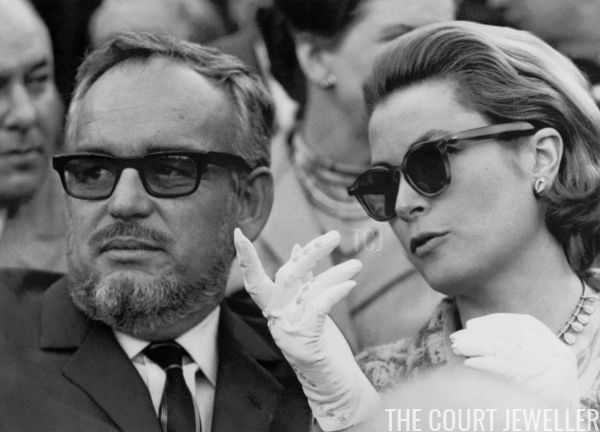 Above, she wears the necklace and earrings at a bullfight in Seville with Prince Rainier in April 1966. 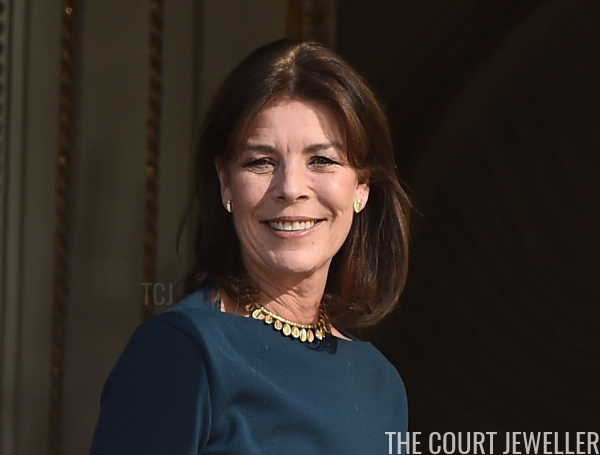 Today, the jewels are worn by Grace's elder daughter, Princess Caroline. 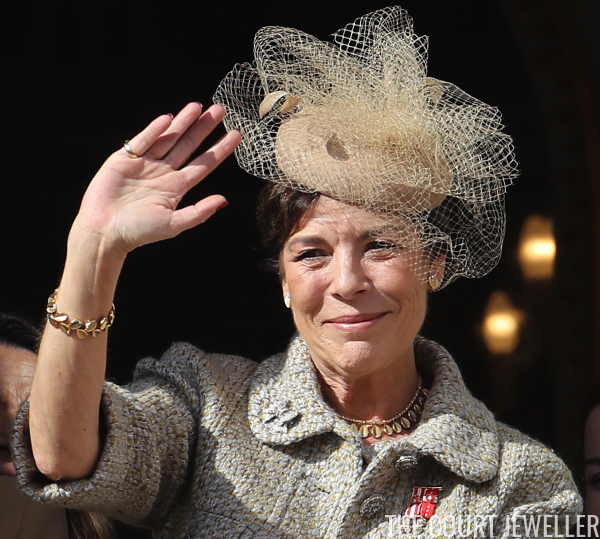 She made a memorable outing in the jewels on Monaco's National Day in November 2016. We got several good close-up views of the jewels on that occasion. 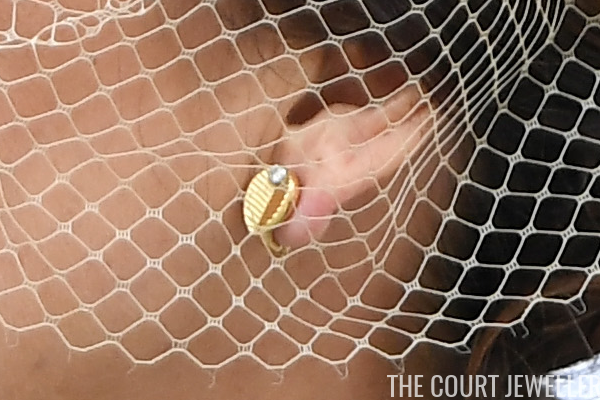 Here's a look at the clip earrings, which feature distinctive gold ribbing and a single diamond. 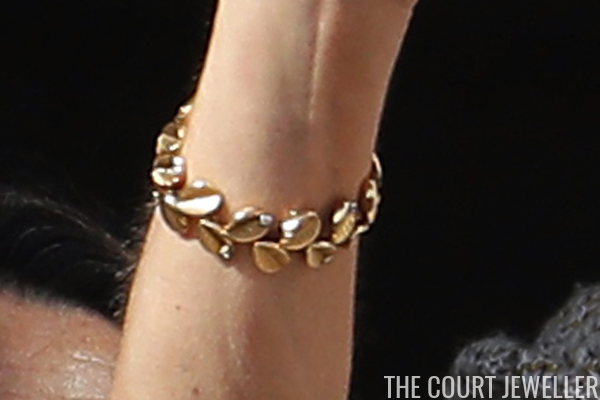 ...and the bracelet, which features clusters of the little ribbed gold leaves studded with diamonds. 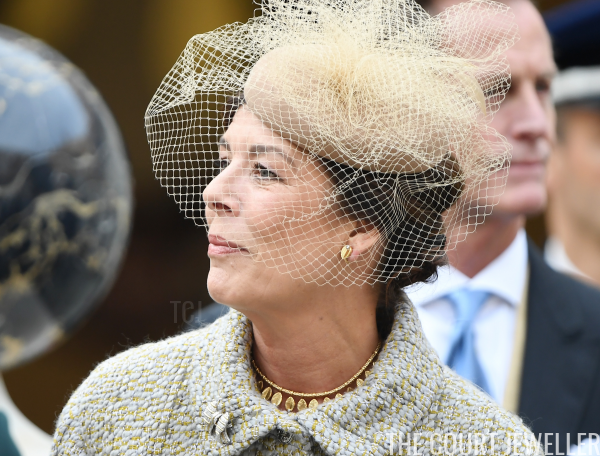 Appropriately, Caroline also wore the suite in January 2015 for the official presentation of two of Princess Grace's grandchildren: Prince Albert and Princess Charlene's twins, Princess Gabriella and Hereditary Prince Jacques. The suite definitely has vintage flair -- its design is typical of the late 1940s or early 1950s. 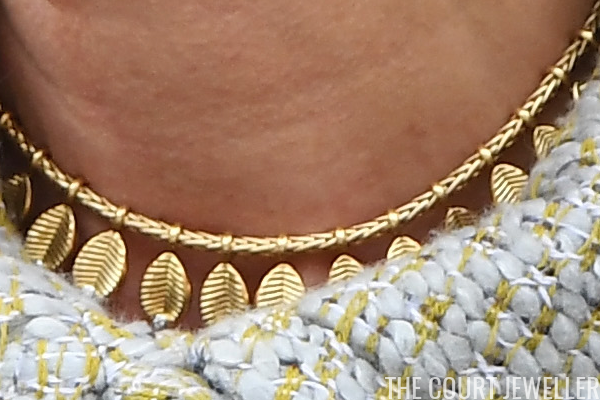 But the relative simplicity of the pieces makes them easy to wear today, and here's hoping we'll continue to see Caroline wear the jewels often.